The number of people activating Android smartphones on a global scale has risen significantly this year, allowing Google`s operating system to account for 52 per cent of the market according to the latest figures. This time last year about 25 per cent of mobiles sold had Android onboard, but with 60 million Android smartphones sold in 2011 it is soaring ahead of its closes rivals. Apple`s iOS accounted for 15 per cent of the market in the latest round of results, which is a drop of 1.6 per cent compared with last year. 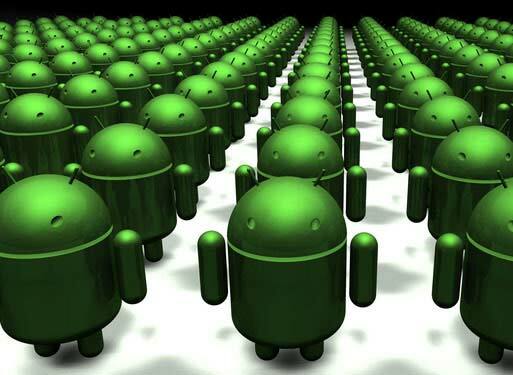 This means that the 17 million mobiles Apple sold was not enough to scratch the surface of Android`s ongoing dominance. Other rivals to Google were similarly affected, with Research in Motion (RIM) losing four per cent of its market share as people migrate from BlackBerry smartphones over to Android handsets. Of course the figures need to be taken with some sense of perspective. Apple deals primarily in top of the line smartphones, while Android is available on bargain basement handsets as well as cutting edge mobiles, allowing it to target a wider audience. In addition Apple had to delay the iPhone 4S until the autumn, which means many of its potential customers are thought to have held off making a purchase until much later in the year, skewing the figures as a result according to Gartner analyst Roberta Cozza. While 2011 was an intriguing year for the mobile market in which Android made leaps and bounds, with more than half a million devices being activated each day, 2012 could see even further alterations to the way in which consumers buy smartphones. The launch of Android 4.0 is going to usher in a new era of range-topping mobiles with quad core processors and high definition displays. The dual core Samsung Galaxy Nexus is just the first of this movement. Meanwhile the recent launch of Nokia`s first Windows Phone 7 handsets and its move away from the ailing Symbian operating system could present a new challenge for Google, if the Finnish firm can get a grasp on the market. The rise of Android handsets and the fall of the previous front runners show the volatile nature of the market and the way in which fortunes can change in a matter of months. The affordability and availability of deals on HTC mobiles is allowing a mainstream audience to invest in smartphones which do just as much as iPhone handsets, but at a more palatable price point.